Genuine OEM Lexmark Toner Cartridge, Black, High Capacity 16,000 page yield. Lexmark part number: 24B6186. 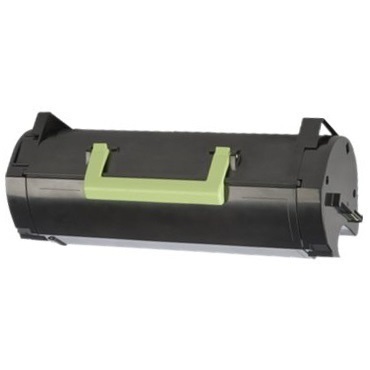 Laser Toner Cartridge compatible with Lexmark M3150, XM3150. Genuine OEM Lexmark Drum Unit, 60,000 page yield. Lexmark part number: 24B6040. Drum Unit compatible with Lexmark M1145, M3150, XM1145, XM3150. Genuine OEM Lexmark 110V/120V Fuser, 200,000 page yield. Lexmark part number: 40X8023, 40X8025. 110V/120V Fuser compatible with Lexmark M1145, M3150, MS310, MS312, MS315, MS410, MS415, MS510, MS610dn, MX310, MX410, MX510de, MX511, MX610, MX611dhe, XM1145, XM3150. Genuine OEM Lexmark Maintenance Kit, 200,000 page yield. Lexmark part number: 40X9137. Maintenance Kit compatible with Lexmark MX610, MX611dhe, XM3150.